Buying marijuana seeds? Whether you are looking for White Widow or Lowryder seeds, you are at the right place here. Top labels such as Dutch Passion and CBD Crew allow you to germinate the best marijuana seeds yourself. The best cannabis seeds are of course available at the Dutch-Headshop. Unique to our assortment of cannabis seeds is that all seeds are feminized. Our ladies ensure more active substances such as THC and CBD; whether you opt for medicinal cannabis seeds, autoflowering seeds or a pure Indica or Sativa. The cannabis seeds come from different sorts of cannabis plants, all with their own, different characteristics. The house label seeds are, to our opinion, the best seeds of various breeders. We like them so much we have given our name to these cannabis seeds. High quality cannabis seeds, without expensive marketing. Some say you a Sativa plant makes you high and an Indica plant stoned. But that is too simple a thought. For example, most of the strains are so-called hybrid plants. This means the plant is a crossing of different species. You won't always get stoned from an Indica. An Indica dominant hybrid such as the feminized Blueberry Autoflower, for example, is known for its stimulating and energetic effects. All seeds in our store are female seeds. Furthermore, the autoflower seeds and seeds for outdoor cultivation are also very popular. We only sell high quality cannabis seeds of the best European cannabis growers. 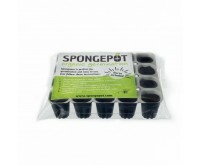 Our seeds are therefore extremely popular among medical users and hobby growers. We sell more than 500 types of cannabis seeds. If the type or strain you would like to grow is not available in our web shop, please contact us. Seeds for high yields, cannabis seeds suitable for starting growers or marijuana seeds with a long flowering time. In any case, we have your future cannabis plant. Use the filters on the left side of the seed shop to set your preferences. This allows you to easily order cannabis seeds online at the Dutch-Headshop.